Compacts, are cameras with a non-interchangeable objective. Usually it’s a zoom objective, but there are some exceptions represented by compact cameras with fixed focal length. As their own name says, they have some pretty small dimensions and weight (even if there’s some exception), are easy to transport, even if, actually, the size can be pretty variable and there are very small ones and, at the same time, ones that are not really pocket-sized at all. Until recently, it was easy to define compacts as cheap cameras, with small sensors and, consequently, with a low image quality, especially with poor light, but today it’s not like that anymore. Market has deeply changed and most of the people take pictures through smartphones they have in their pocket or bag, even those who never thought about taking pictures before. Nobody wants to buy a compact camera to take pictures anymore. This, made these cameras, that some brands don’t even have available anymore, actually disappear from the market. To react to this situation of very bad recession, manufacturers had to focus on quality to convince, at least, the ones who thinks about photography as something more than taking a picture of where they are or what they’re eating to let their friends and family know about it, and sharing it via Facebook. So they presented many compact cameras with larger sensors, zoom lenses with less extreme focal lengths, but better quality, and in many cases the viewfinder, fundamental element to get good picture. These new cameras, anyway, keep the compacts’ quality, lightness and small size, matching the sensor’s size, to keep being the “light” alternative when you want to use a not taxing camera, in terms of size and weight, often pocket-sized. Moreover, cameras of this kind are less noticeable, don’t make the user look like a “photographer” and so they’re easier to use in many environments and situations. However, the prices are different too, and while until recently compacts were cheap cameras, now the price range is much wider, and they start from a few hundred euros to several thousands. So, I’m writing up a list of recommended cameras, from relatively cheaper compacts, but still considering quality, to the top level and highest cost models, with full-frame sensors and appropriate image quality. Besides the overall quality, in terms of both image and structure and commands, I considered as an essential requirement the presence of the viewfinder, which is a fundamental component to take goo pictures, letting you better see and focus outside, and to keep the camera in a more stable way. With these cameras you can photograph everything: general pictures outside or inside, traveling, in vacation, or for family events and circumstances, landscapes, monuments, urban reality, street pictures and in many cases, portraits and still life too, compatibly with their objectives’ focal length. They’re not too good, though, for sport and animals pictures in their natural environments. 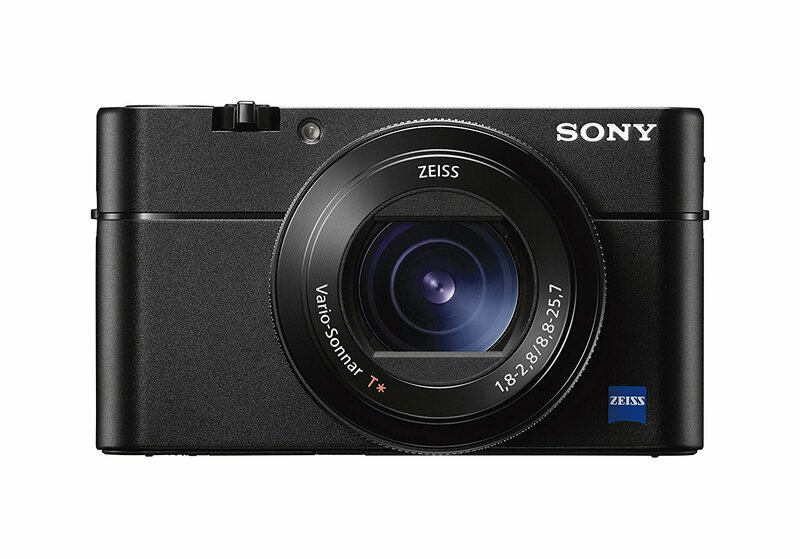 It’s the most recent one of the ZS series (Traveler Zoom), born as a traveling compact camera. 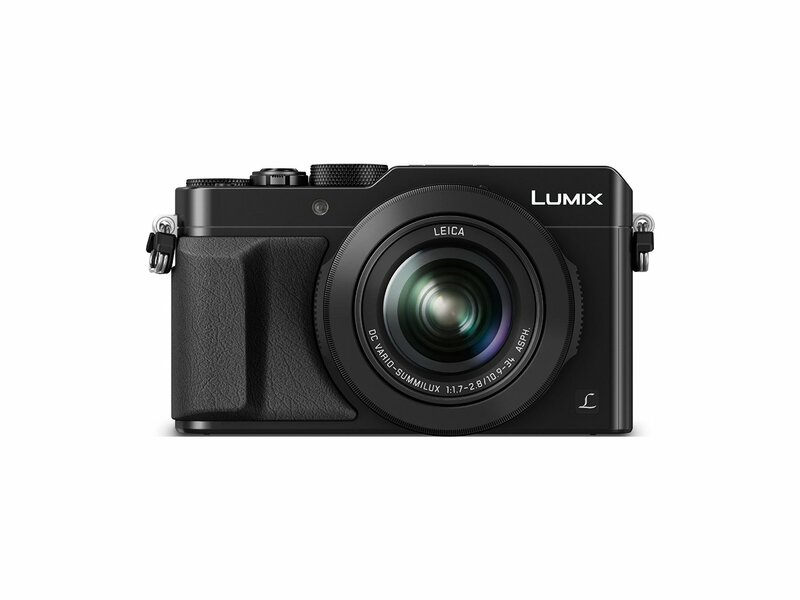 In fact, besides its pretty small size, but still not too pocket-sized, it offers a 1” sensor with a 20 Mpx dimension for a good image quality, and a 10x zoom from 25 mm wide-angle to 250 mm telephoto. To contain its size, though, the zoom has a good luminosity in wide-angle, f/1,8, but much lower in tele, f/5,9, and this pretty much represents the limit of the camera when shooting with low light. But, its focal length is higher than the competitors and lets you shoot pretty far subjects, like during events and shows. The autofocus is fast and uses the DFD contrast detection technology by Panasonic. The viewfinder is small, but good enough. Another good feature is the possibility to both record video and take pictures in 4K, and the continuous shooting speed up to 50 fps. 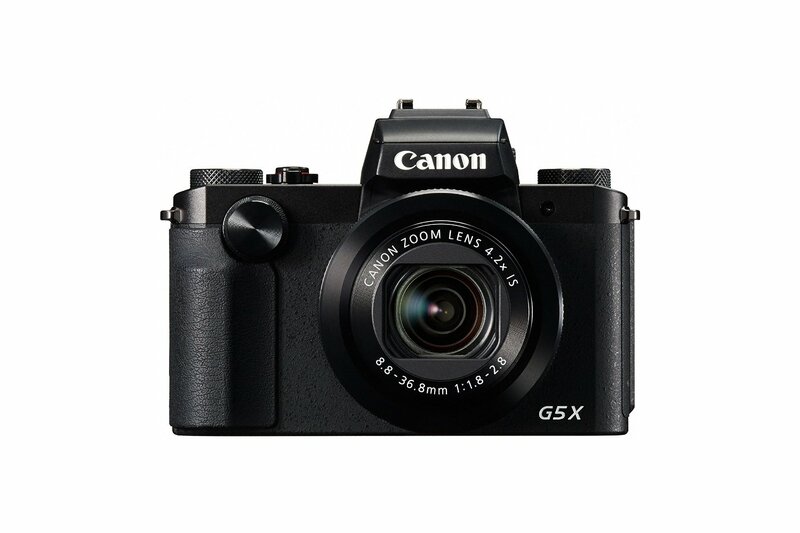 It belongs to the new compact cameras series by Canon GnX and it’s the only one equipped with the viewfinder. However, its disposition, sticking out over the cap like a small-sized reflex, disadvantages it in terms of size, compromising its handling if you want to put it into your pocket. It has a 20 Mpx 1” sensor like all of its counterparts and competitors. The zoom offers a pretty short focal length, 4x, equivalent to 24-100 mm f/1,8 – 2,8, allowing to keep a good luminosity even in tele-zoom. The autofocus is a contrast detection one, the viewfinder is quite good. You can film HD videos. The image quality is good. 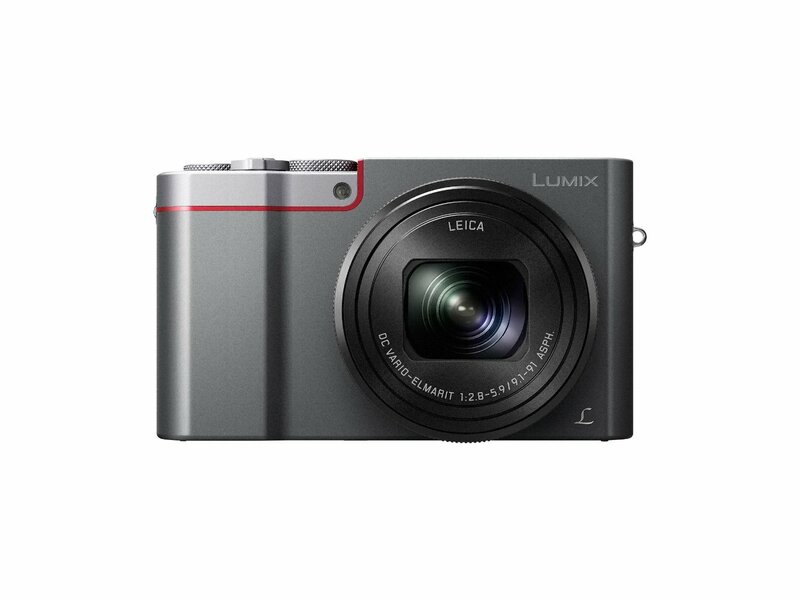 It is the first compact camera with a 4/3” sensor. Its features are very interesting, even if the sensor’s resolution is limited to 13 Mpx. Leica’s Vario-Summilux 24-75, f/1,7 – 2,8 lens has a high luminosity. The electronic viewfinder has an extremely high resolution, 2,764 Mpx and high quality. The quickest shutter speed is interesting too: 1/16000, which lets you shoot with apertures even when there’s plenty of light, allowing, then, to control the depth of field. The Aperture Ring for times and aperture are very convenient and intuitive, Leica M’s style. One of its most interesting features is the 4k video recording which also lets you capture at 25 fps. Size is averages and the camera is not really that pocket-sized, even if you can put it in a jacket or coat, or in a small belt pouch. The image quality is very good. It has a CMOS backlit sensor of 1” with 20 Mpx and a Zeiss 2,9x, equivalent 24-70 zoom with the high luminosity of f/1,8 – 2,8. The main innovation, compared to the previous model, is the presence of the electronic viewfinder that, incredibly, does not make the camera’s size get any larger than a couple of mm. The RX100 III keeps being a pocket-sized camera, one of the best of this category, and now with the viewfinder, it’s quite perfect. The new objective gets also improved a lot in terms of luminosity, even if it loses focal length in tele mode, but you’re not buying these compact cameras to get a super-tele. The image quality is good with high resolution and clearness. It’s the Leica’s version of the Panasonic LX100, even if saying the contrary would be more correct, since the implemented objective is made by Leica. 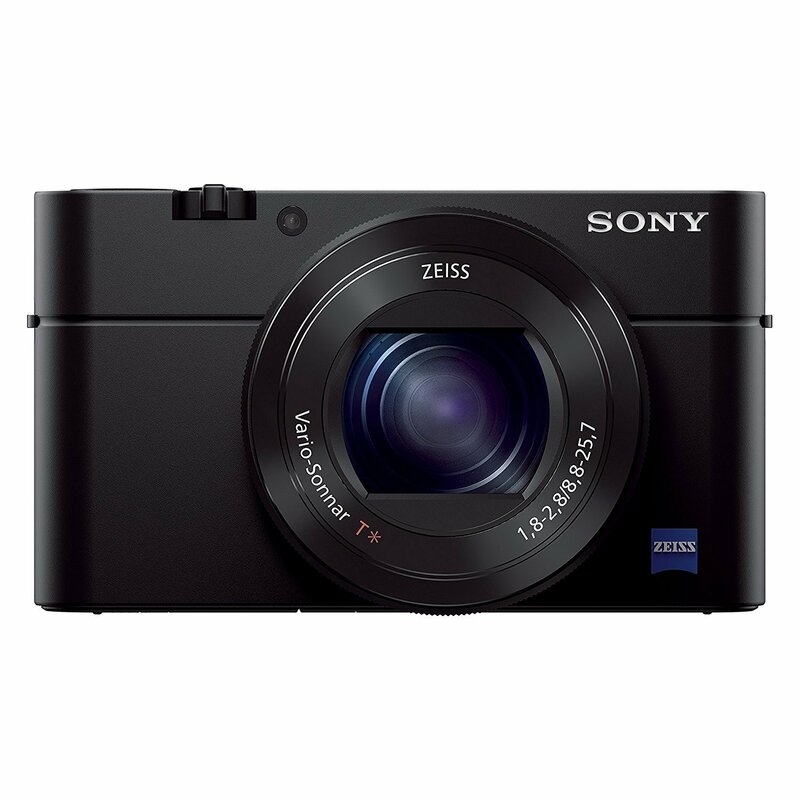 The RX100 V differs from the RX100 III due to the new Exmor RS sensor (available on the IV version too) which uses the “stacked BSI-CMOS” technology. The backlit sensor is composed of multiple layers, instead of one only with pixel and circuits like the ordinary sensors, BSI too. The top layer, exposed to light, contains pixels only. The second layer, beneath, includes electronic circuits and the third one contains a fast DRMA memory to save the signal. This results in a further improvement in the signal/noise ratio and a reading speed five times higher. 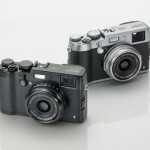 Compared with the III and IV versions, this one has, in addiction, a hybrid autofocus, with phase detection pixels on the sensor, which has 315 AF points and improves the focus speed very much, one of the aspects about which the RX100 could do better. The speed of shoot continuously got improved too and now it reaches up to 24 fps. The camera also features 4K video recording as it was on the previous IV model. The image quality is very good, and better than the RX100 III. The X-100t is one of the best compact cameras around, passed over by the new fullframe cameras only. It has an intentionally “retro” look, but its technology is very modern, starting from the APS format sensor of the X-Trans II CMOS type with exclusive technology by Fujifilm. This sensor, thanks to the irregular and non-periodic colored pixels disposition, doesn’t need any anti-alias filter and this improves its clearness and resolution. Moreover, it has a certain number of pixels to actualize the phase detection autofocus, faster than the contrast detection one and useful when filming. The body is made of magnesium alloy and pretty well finished. 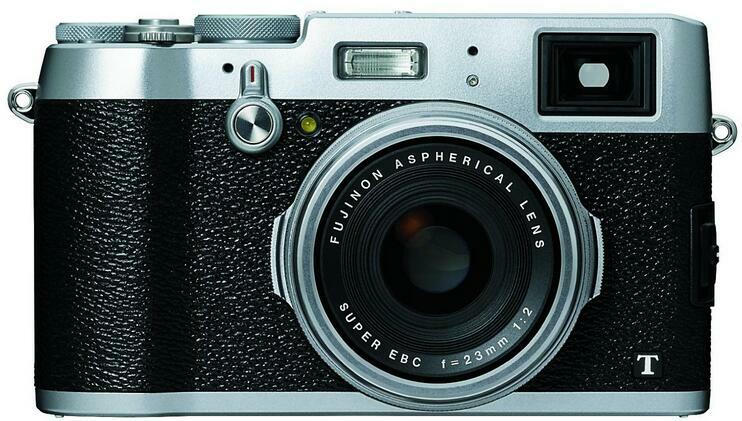 The fixed lens is a Fujinon 23 mm f/2,0, equivalent to a 35 mm of excellent quality. The viewfinder is a hybrid one, can work optically, by viewing the framing with a proper frame and providing all the information related to the shoot, included AF points, or in electronic mode, with 2,35 Mpx and a 100% cover. The contrast and phase detection autofocus is faster and more sensitive. The shutter has the fastest shoot time of 1/32000 seconds, this lets you shoot with very large apertures to limit the depth of field even during the day. It has a small flash frontally. The X-100t is an excellent camera with a great image quality, passed over by the fullframe cameras, with which it can compete with, anyway. If having only one fixed focal of 35 mm (typical focal and used by popular photographers) is not a problem, then it’s a great choice. 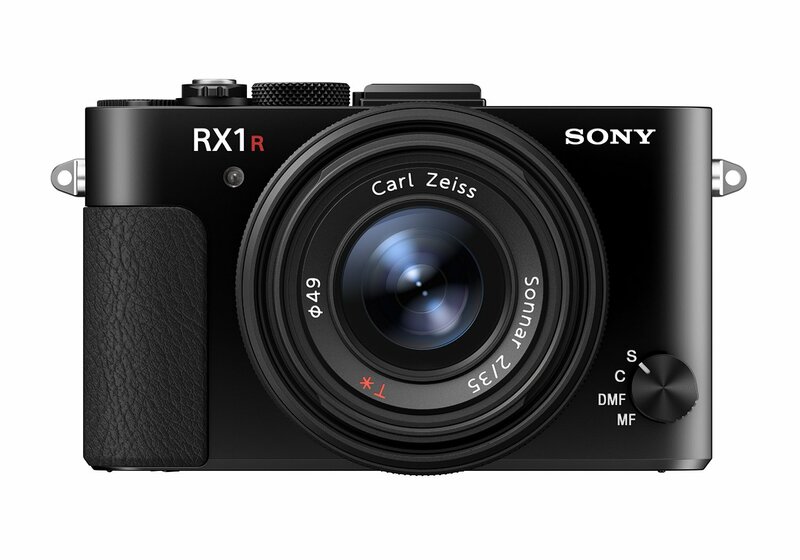 The RX1R II is a compact camera of high class and cost. 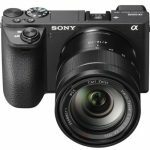 It’s the last evolution fo the series of RX1 compacts and uses the same sensor of the mirrorless A7R II with 42 Mpx and without anti-alias filter. The fixed focal objective is a Zeiss 35 mm f/2,0. It has a great electronic viewfinder and tiltable screen. The autofocus is hybrid with 399 AF points and phase detection on the sensor. The video filming is “only” Full HD. Its size is very contained, considering its sensor and objective. It’s a camera that can take pictures of high quality and be a plausible alternative to any reflex and mirrorless for those who want a quite small camera and, at the same time, doesn’t want to get too involved in the choice of objectives, ma it’s very exclusive, due to its price. The image quality is excellent. This Q Typ 116 is a surprising innovation for Leica, which until today produced M line fullframe models only. 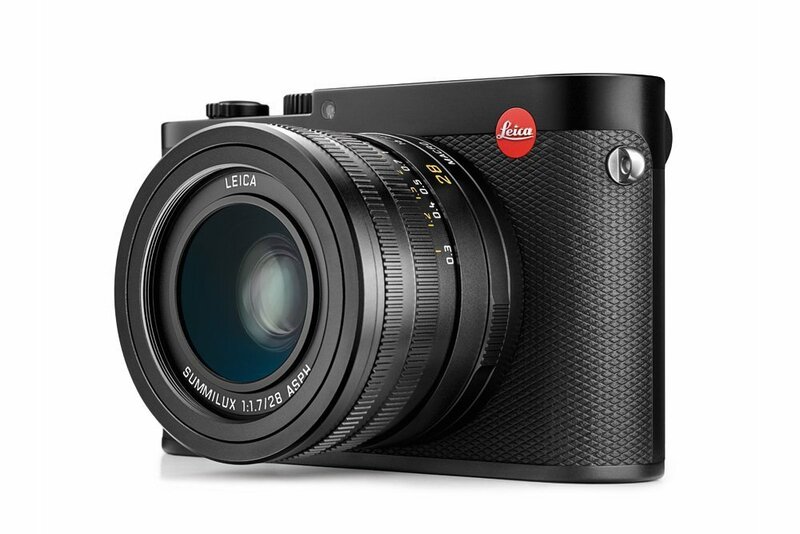 The Q is a compact camera with fullframe sensor of 24 Mpx and Summilux 28 mm f/1,7 fixed focal lens. 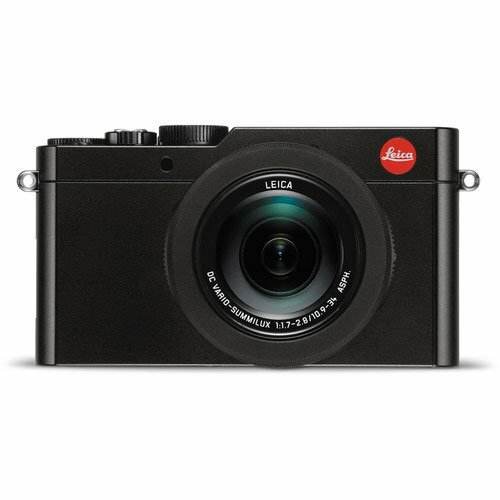 Its size is pretty contained, considering the sensor dimension, and its look pretty much recalls the popular Leica M Digital Rangefinder. The adjustments with the shutter speed dial on the cap, and the apertures settings around the lens are similar too. 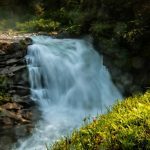 The Q has a high image quality, due to its excellent objective too, and is, like the Sony RX1R II, a plausible alternative to any SLR and mirrorless, but even more exclusive, not only for its price. Next G-Sync vs. VSync vs. Freesync? What’s the Difference?